Mumbai: “Government of Tanzania will launch direct flight service thrice a week connecting India and Tanzania starting December 2018. This will improve tourism, people to people connectivity and bilateral trade. I am here to strengthen the centuries old historical, cultural and linguistic relations between India and Tanzania. Gujaratis and Goans are the first settlers in the history of eastern Africa 1,000 years ago. 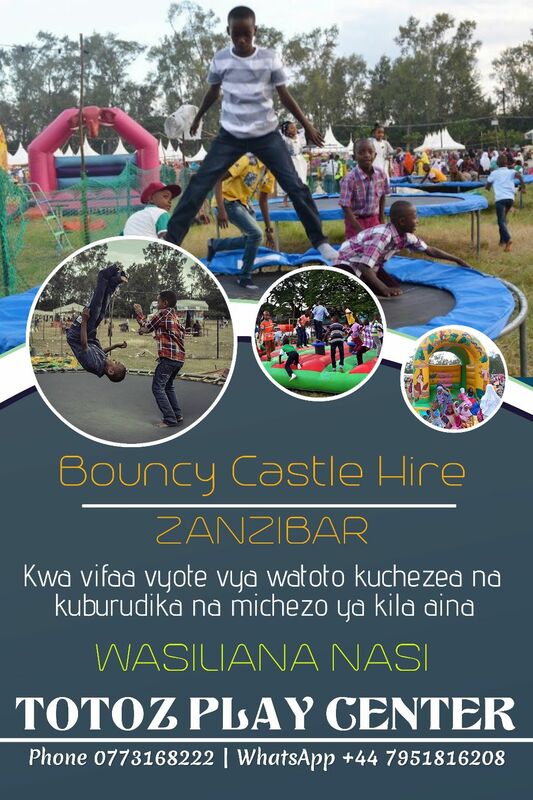 The present day Indian community in Tanzania represents the 17th generation. The first newspaper in Zanzibar Island of Tanzania was in Gujarati language. Today, 4,000 Indian tourists visit Tanzania every year, which is far less compared to more than 2 lakh tourists from Italy and other European countries. I expect annual number of Indian tourists visiting Tanzania to grow to 20,000 in the next five years,” said Hon’ble Mr. Mahmoud Kombo, Minister for Information, Culture & Tourism, Government of Zanzibar, Tanzania at an Interactive Meeting organized by MVIRDC World Trade Centre Mumbai and All India Association of Industries (AIAI). Hon’ble Mr. Kombo highlighted five key areas for collaboration between both the countries. These areas are tourism, hospitality, healthcare, food processing and packaging. The minister assured Indian investors on single window clearance, ease of land acquisition and other business support and incentives for investing in that country. Speaking about investment opportunities in his country, the minister said Government of Tanzania is privatizing certain sectors such as water supply and other utilities, airport ground handling and other services. The Government of Zanzibar is promoting investment in recycling of plastic waste as it damages the marine ecology, including dolphins and other marine fauna. Hon’ble Mr. Kombo also invited Indian companies to come and invest in convention centres, hotels, resorts, hotels and shopping malls. The minister suggested India’s micro, small and medium enterprises (MSMEs) to come and explore value addition opportunities in minerals such as gold, iron ore, nickel, copper, cobalt, silver and food processing sector. Speaking about some of the tourist attractions in Zanzibar, the minister pointed to spice tour, dolphin games, Stone Town Heritage, Sunset Cruise and Red Colobus monkeys. The Minister suggested India’s film industry to explore Tanzania as shooting destination and assured them of all possible government support in this regard. In order to promote bilateral trade and investment, Hon’ble Mr. Kombo suggested Government of India to ease visa procedures for Tanzanian citizens visiting India. The minister announced that he would lead a high level business delegation of more than 20 members in the near future to India. The minister led a delegation of trade and government officials, which include Ms. Sabah Saleh Nassor, Chairperson, Zanzibar Commission for Tourism, Tanzania, Dr. Abdulla Juma, Executive Secretary, Zanzibar Commission for Tourism, Mr. Jilesh Himat Babla, Director, Zanzibar Tourism Promotion Centre, India, among others. The meeting was attended by representatives from trade and industry, financial institutions, media and entertainment sectors. 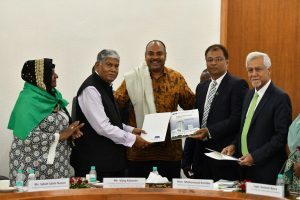 During the event, MVIRDC World Trade Centre Mumbai and All India Association of Industries (AIAI) signed memorandum of Understanding (MoU) with the Zanzibar Commission for Tourism, Tanzania to promote culture and tourism. Capt. Somesh Batra, Vice Chairman, MVIRDC World Trade Centre Mumbaiproposed vote of thanks for the event.